What Distinguishes ADDvantages Learning Center of South Jersey from other Tutoring Services? ADDvantages Learning Center of South Jersey (Cherry Hill, NJ) provides real solutions for students with ADHD (attention deficit hyperactivity disorder), Asperger’s, CAPD (central auditory processing disorders), learning disabilities, dysgraphia, dyscalculia, dyslexia, sensory integration, writing, reading, math, homework, study skills, social skills, behavior management, and parent training. ADDvantages is the premier learning center dedicated to helping struggling students of all ages to become independent learners. Many students with ADHD (attention deficit hyperactivity disorder), learning disabilities, spectrum disorders, auditory processing, sensory, and other neurological impairments have tried tutoring with short-term success; however despite continual tutoring they have not been able to become independent learners. When tutoring, trying harder and working longer doesn’t solve the problem the root cause is most likely due to deficits in the ability to interpret incoming information. Weak cognitive processing (executive functioning) skills causes learning to become stressful and time-consuming. Rather than teach around learning problems, we “train the brain” to unlock a student’s ability to learn through cognitive re-training. Just like a computer, the brain's job is to take incoming information from all of the senses, sort it, prioritize it, and retrieve as needed. All programs are based on current scientific research to provide independent learning success, not just today or this marking period, but for a life time! During a 90-minute in office session, Linda Karanzalis, MS will pinpoint the weak processing and executive functioning skills (auditory visual, memory, attention, logic/reasoning, processing speed, and other skills) that are blocking you or your child’s ability to learn and function independently. Many of these difficulties can be attributed to inefficient executive functioning skills of those suffering with learning disabilities, ADD (attention deficit disorder), poor social communication, auditory and visual processing skills and those with spectrum disorders. Please remember a label is just that, a label. Unfortunately labels are sometimes necessary to receive help, but in no way shape or form should they be used replace ones identity. We help people, not labels. Linda will recommend a program to meet the needs you or your child are facing to achieve and succeed! Our programs teach children the skills to make choices, strengthen positive attitude and lay the foundation for them to be happy. Coaching is a process that builds the structure for your child's success. Children who learn to manage their emotions and interact well with others are happier. No matter how much a child is impacted, they are able to learn how to be responsible for their own happiness. Give your child the chance of a lifetime. Kidz Coaching helps children to better cope with ADHD (attention deficit hyperactivity disorder), learning disabilities, anger management, poor self-esteem, social skills, anxiety, bullying, siblings of special needs children, and those affected by divorce, separation, or death of a loved one. 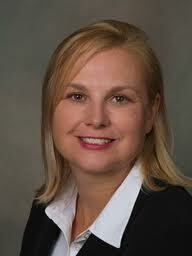 Experience the expertise of Linda Karanzalis, MS, even if you live far from our offices. Choose the convenience of in home-on your computer learning. First, you or your child takes our online cognitive processing skills evaluation. During your 90 minute one-time coaching and support session, we discuss the daily learning, behavioral, or social challenges. You then receive a “tailored” plan to learn techniques and strategies to overcome these obstacles. Our in office program for both parents to learn how to manage children with ADD,ADHD, ODD, Conduct Disorder, and other behavioral issues. Family members and friends may not understand what you are going through and may dismiss your concerns or tell you to simply 'lay down the law.' Kids aren’t easy to raise and it is even more difficult for parents of children with challenging behaviors. This special class is designed to create healthy relationships and a more peaceful home environment. Parents are provided the training and tools to help their children experience success. Find out more about the facilitators by visitng our About Us page. And we invite you to visit Our Approach page to read why our scientific approach has such a high rate of success. Hundreds of students at ADDvantages have eliminated the need to rely on continual tutoring/support and are better able to reach their full potential!